Global business management can be defined as the fundamental principles and practices of conducting global business activities, the proper evaluation of international business opportunities and the optimum allocation of resources so as to attain the individual business objectives in a global environment. In the rapidly changing global economic and business landscape, the need for effective global business management has become even more important. For businesses to remain competitive, they must continually evolve to tap into the global markets and emerging world opportunities. Strategic business management in the present turbulent world economic conditions has to be more pro-active as the as technology, production and consumption patterns are changing by the day. 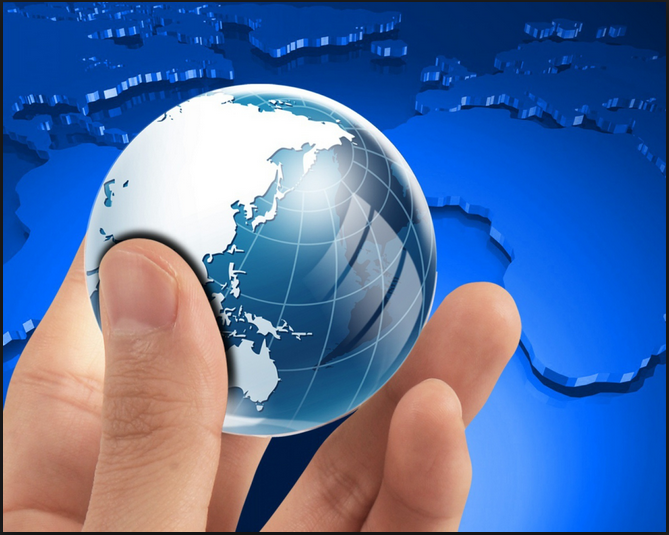 In this context, global business management can be defined as the fundamental principles and practices of conducting global business activities, the proper evaluation of international business opportunities and the optimum allocation of resources so as to attain the individual business objectives in a global environment. It is associated with large national companies attempting to make it big on the global stage. Domestic businesses in an attempt to become Multinational or Transnational corporations face numerous concerns which can be duly addressed by global business management. In the wake of globalization and a rapidly integrated world in terms of tastes, preferences and even culture the organizational and geographical complexity of global or multinational companies are getting even more pronounced. The idea of change-to effectively conduct the global business of the company in far flung areas of the world, and to evaluate the business opportunities in remote corners of the globe have to be dealt with in collaboration with the new sociological, political and economic trends that emerge almost daily on the international front. Some of the burning issues in the aspect of global business management include international trade, global human-resource management, global investment and global finance. International trade constitutes an integral part of the global business management due to the increased restrictions imposed by many of the developing and developed countries hampering the movement of goods and services across the world. Global business management is greatly affected as the supplies of raw materials and essential commodities to various branches of a global operating company in different countries of the world can be stifled thus reducing the production capacity of the subsidiary companies. GBM is enmeshed in the principles of global human resource management which deals with the issues of factor movements, namely migration from the less developed to the developed world. International migration is a hot issue in many of the developed nations around the world with the overflowing of immigrants in these countries. Global business management has devised a unique method of tackling the issue of international human resource management with engaging in outsourcing of activities from the developed to the developing countries with abundant supply of cheap labor. The issues of global investment and global finance are closely related and are an integral part of the activities of the global corporations engaged in effective global business management. Global Finance explains how exchange rates and foreign investment affect international trade and the supply of materials across the globe thus affecting the wealth or income of the global business corporation. Global finance is in many ways a reflection of global business management with the effective allocation of financial resources in stocks, bonds and other portfolio investments to maximize the assets of the company. Global business management is also affected by movements of capital and currencies between countries and the difference in the exchange rates between different currencies. Global business management is closely linked with business management strategy and business process management. Today you can find many organizations as well as software aimed at those looking to expand businesses or just looking to better their management. To do well in this day and age, it is necessary to keep up with development and trends. Running things including your business management via online is the best way to do this. The key for a company wanting to do this is knowing the best software solutions on the market and taking into consideration various departmental needs, escalating systems, rising costs and integration. There are several ways to investigate and research the right business management software, ranging from word of mouth, computer trade reviews, industry and professional press, social network news groups and vendor sites. Word of mouth is often an excellent and reliable way to source information, tapping up a friend who is already using a successful business management software platform. Many vendors will research what successful peers use, and what alternatives they considered and why they chose as they did. General computer trade press reviews are a useful barometer of software, as they have comprehensive reviews of certain products. If the software you seek has a wide enough market, it will be reviewed in the trade press. InfoWorld, PC Magazine, CMP net (techweb.com) and a host of others review software from operating systems and development environments to PIMs and fax servers. The major print publications all have online versions, and most have searchable archives of past articles. Industry and professional press is useful if the customer platform is seeking a standard tool (CAD software, graphics programs, industrial controls, etc. ), not something deemed ‘mass market’. Publishing and design are the best represented on the web, but many other disciplines are there as well. Social network groups like Linkedin, like word of mouth, prove a valuable tool in discovering the latest software rumors and trends. If companies are using social networking correctly then they will share groups with like-minded companies and be able to share opinions with industry professionals. The most obvious place to look is vendor sites, but obviously the key is to look deeper than self effacing descriptions of the vendors features and benefits. One way to dig a bit deeper is to check their customer support pages and look for downloadable upgrades, patches and FAQs. These will give an idea of potential vendor problems and the real users experience, and of that vendor’s responsiveness to them. It’s important to know what’s out there, not only as far as competitors are concerned but what new developments are there technically. This is the key to outstanding global business management. This entry was posted in Developing a global Business and tagged CAD, CMP, GBM, Global Finance. Bookmark the permalink.